The Brother DCP-1000 digital copy machine is a relatively small all in one MFC with very limited performance specs, but a large variety of features including a flip up, flatbed top and an LCD readout. 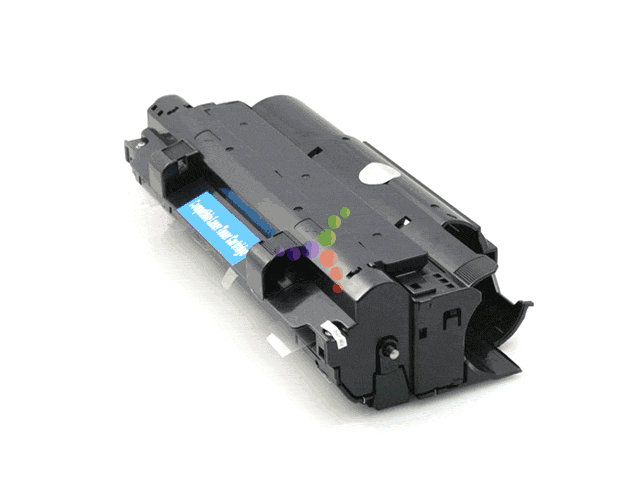 It has an extremely low maximum monthly duty cycle and poor print speeds, but is not entirely worthless altogether due to its compatibility and user friendliness. If one could stand for a printer that functions at only ten pages per minute, the Brother DCP-1000 is actually not too bad of an option. 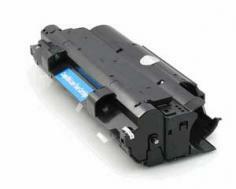 It can scan, copy, and print the same as other devices, and could be found for a reasonable price. Zoom range for the unit is actually quite good, if not one of the best on the market. It makes one wonder how, with only 8 MBs on included memory, the unit can enlarge and reduce at ratios of 25 to 400%, making N to 1 and poster printing entirely possible. The printer's dimensions are borderline acceptable at 18 in. x 18 in. x 13.95 in. 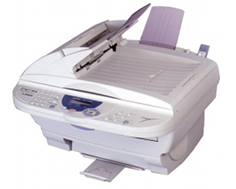 (W x D x H), while its weight of 24.26 pounds is feasible for a unit that prints, scans, and copies. Special features such as scan once, print many allow users to create multiple scans from a single input source, while a digital send to e mail mode can direct a scanned image immediately to an e mail account. Both PC and Mac compatible software is included, along with a warranty that is possibly expired due to the age of the printer. With only 10 pages per minute, large print jobs will be a serious pain to work with on this device. Its resolution is also set at a bare minimum level. Quality is selectable up to only 600 x 600 dots per inch, though the scanner can go a little higher to 600 x 2400 dots per inch. The unit's monthly duty volume of 4,000 pages is incredibly low, and shows the Brother DCP-1000's age to some degree. Its recommended monthly duty cycle is higher, up to almost ten thousand individual pages, but still not ideal. Emulation is made possibly by GDI, there is no PCL compatibility with the unit. This printer's total paper storage capacity of only 200 sheets is not up to standard, and will result in frequent refills which will cost valuable time. Then again, if 10 pages per minute is fast enough for a business's needs, then it shouldn't be a problem. The connectivity of the unit relies on an older cable style and the paper path within the unit is curved, which can limit the allowable thickness that is compatible with the MFC. Review it: "Brother DCP-1000 "
The Brother DCP-1000, being a device based on laser technology, uses a toner cartridge and drum system that results in fairly high page yields, even for a small unit. 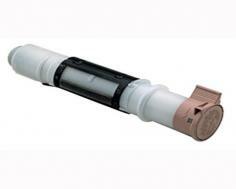 The printer's standard toner offers a 2,200 sheet yield, based on 5% coverage, while the drum itself can go for as many as 12,000 pages.